The Yorktown neighborhood includes 19 blocks of single family residences. Composed of eight separate additions, the district does not exhibit a single pattern of residential development. The blocks are not the same size, varying in both width and length. Significant construction of residences in the Yorktown district began in 1921 with the Bungalow/Craftsman style making up 69 percent of all houses in the district. Tudor Revival is the second most prevalent style, gaining popularity in the district in the late 1920s. Combined, the Bungalow/Craftsman and Tudor Revival styles constitute ninety percent of the Yorktown residences. 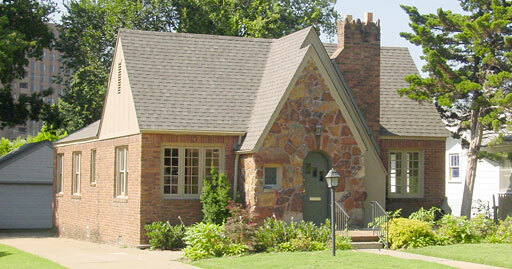 Yorktown neighborhood is a valuable part of Tulsa’s historic infrastructure, containing a predominate style of Bungalow/Craftsman style architecture. Historic neighborhoods such as Yorktown represent windows of time that are architecturally homogeneous for that period of Tulsa’s history. Yorktown was placed under Historic Preservation Zoning on August 14, 1995. Yorktown was placed on the National Register of Historic Places on June 20, 2002 under National Register criteria A and C. Its NRIS number is 02000657.